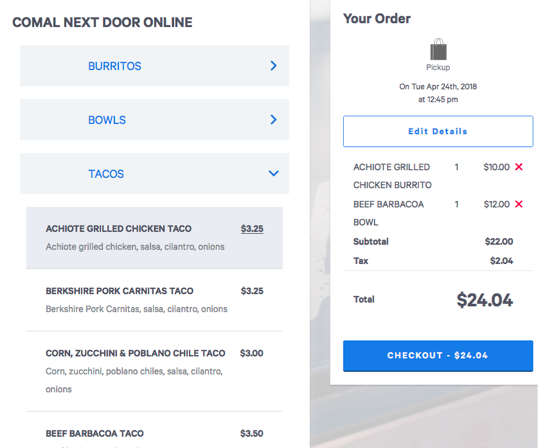 Online Ordering now available through Comal Next Door! In most cases, we should have your order ready to go and waiting for you when you walk in the door. Since payment is already complete, we will hand you your order and you’ll be on your way. You’re also welcome to sit down and enjoy your order in our dining room. Hope to see you soon at Comal Next Door!